Joan Lewis reviews the latest in Vatican news. Then Joan continues her conversation from last week with Tracey McClure, one of the founders of D.Va – Donne in Vaticano – Women in the Vatican – the first ever women’s association formally recognized by the Vatican City State. All that and more on this edition of Vatican Insider! Joan Lewis reviews the latest in Vatican news. Then Joan speaks with Tracey McClure, one of the founders of D.Va – Donne in Vaticano – Women in the Vatican – the first ever women’s association formally recognized by the Vatican City State. All that and more on this edition of Vatican Insider! Joan Lewis reviews the latest in Vatican news. Then Joan speaks with Joe Boland, Vice President of Mission at Catholic Extension, which has been building up and strengthening Catholic faith communities in America's poorest places since 1905. All that and more on this edition of Vatican Insider! Joan Lewis reviews the latest in Vatican news. Then Joan interviews Fr. Kyle Manno (Diocesan Director of Vocations) and Msgr. Glenn Nelson (Director of the Deaf Apostolate) from Rockford, IL about the "Priest With A Mic" social media apostolate. All that and more on this edition of Vatican Insider! Joan Lewis reviews the latest in Vatican news. Then she gives a special presentation about a multi-century tradition in Rome, the Lenten Station Churches. What are they? What's their history? 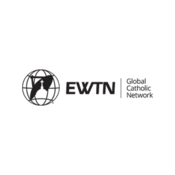 Find out on this edition of Vatican Insider with Joan Lewis on EWTN Radio! Lyt til Vatican Insider, Blessed2Play og mange andre stationer fra hele verden med app'en radio.dk.